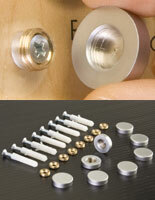 Stainless steel screw covers accent signage while covering screw heads. Made from stainless steel yet sells at plastic hardware prices. 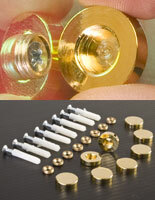 (8) Caps, screws, anchors, & washers are included for mounting (2) signs. 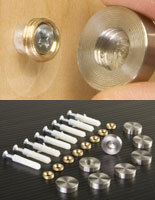 This screw cover is designed for use on wall mounted signage. A screw cover serves the function of covering screw heads that would be exposed on a sign's surface. 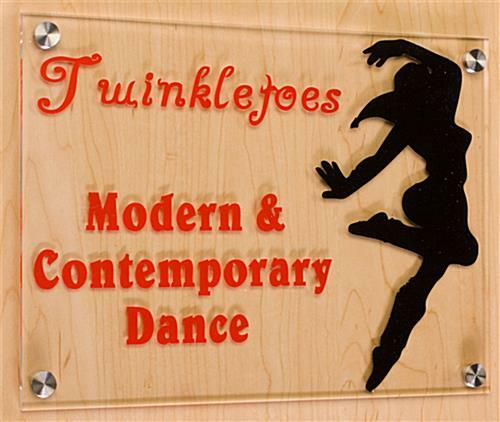 Any wall mounted signage in a location where there are customers should use decorative hardware for mounting. A screw cover accents signs in a subtle manner, while covering exposed screw heads that detract from signage. 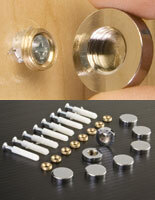 This screw kit comes with (8) screw covers, (8) screws & anchors, as well as (8) threaded washers. A screw cover in a kit of (8) provides enough hardware for mounting (2) signs. 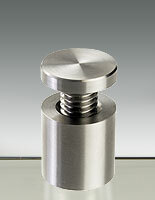 A screw cover called mounting screws, or hardware is constructed from stainless steel. 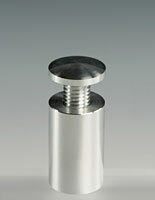 These screw covers are rust resistant due to the stainless steel construction. 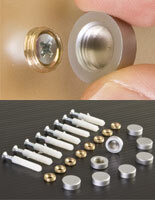 We sell the screw cover at a low price you would expect to see plastic screw covers at. This hardware, screw cover has a diameter of 5/8". 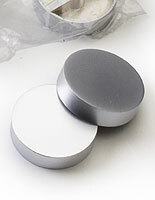 The screw cap covers attach via threaded connectors, or washers. 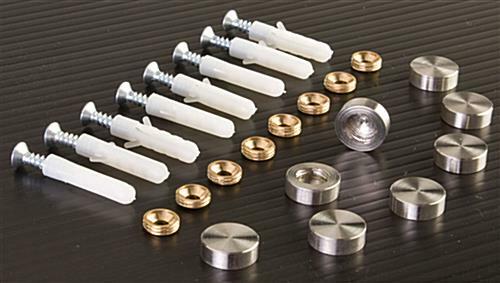 This screw-on system for attaching decorative caps is much more reliable than pop-on caps, or hinged caps.